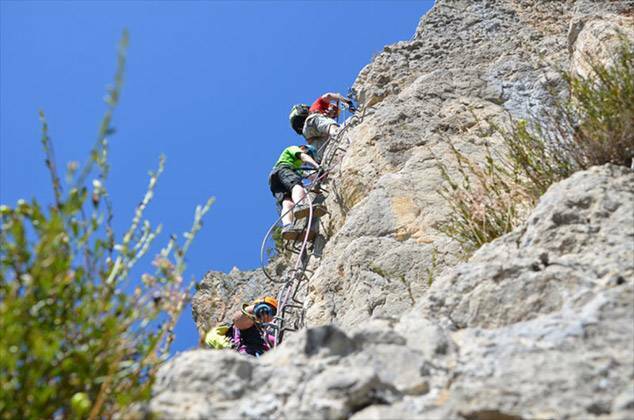 Via Ferratas were invented by the Italian army as a means of getting their troops through the inaccessible mountain ranges of the Alps. 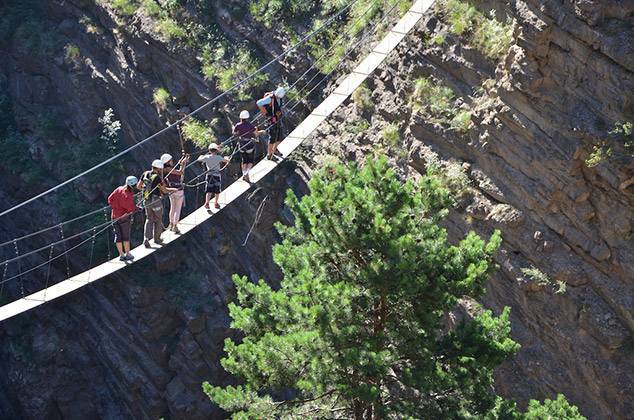 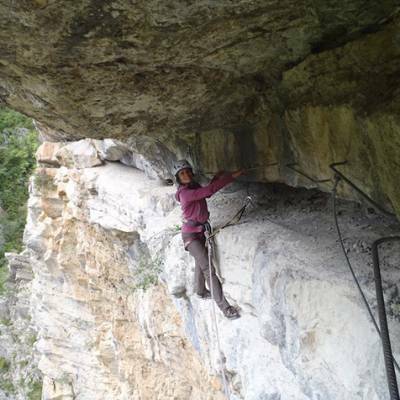 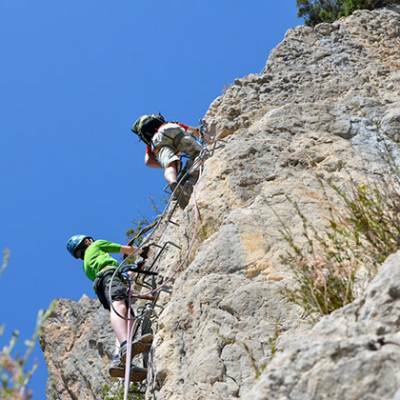 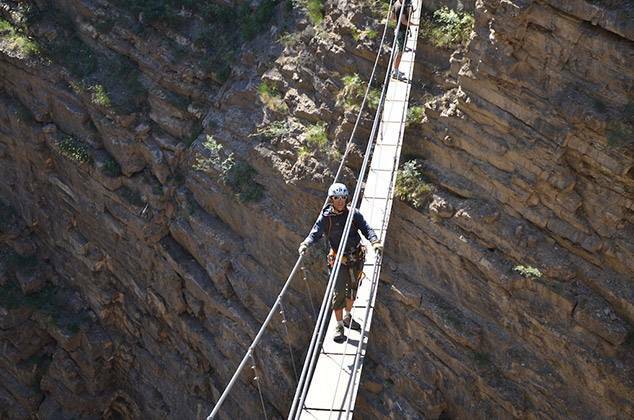 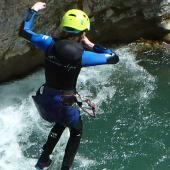 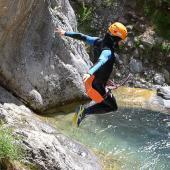 They have since become a sport in their own right and there are now via ferrata courses dotted all over the Alps. 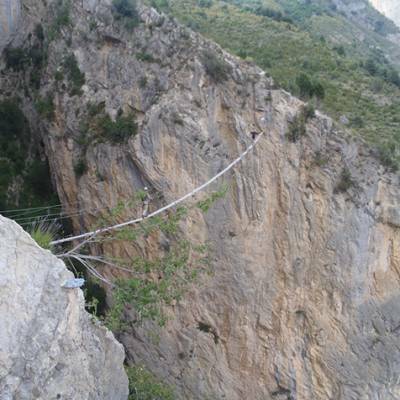 They consist of metal ladders and thick wires positioned strategically over rock faces and some have wire bridges crossing over the narrow gorges above rivers. 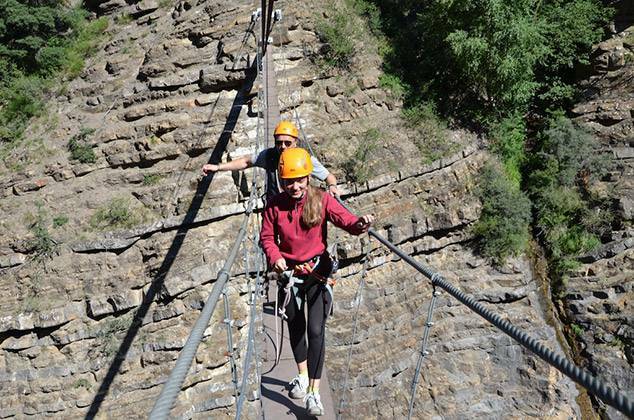 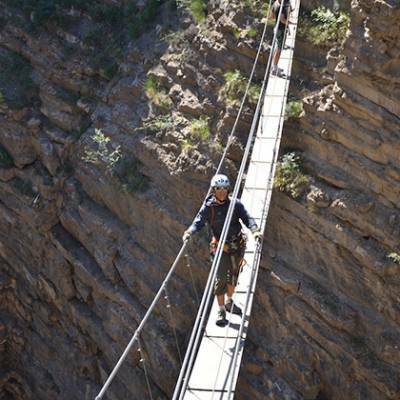 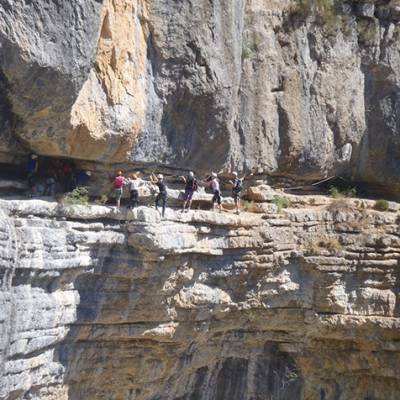 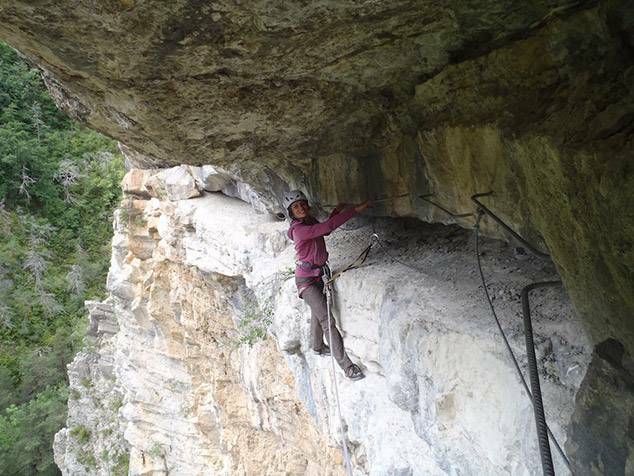 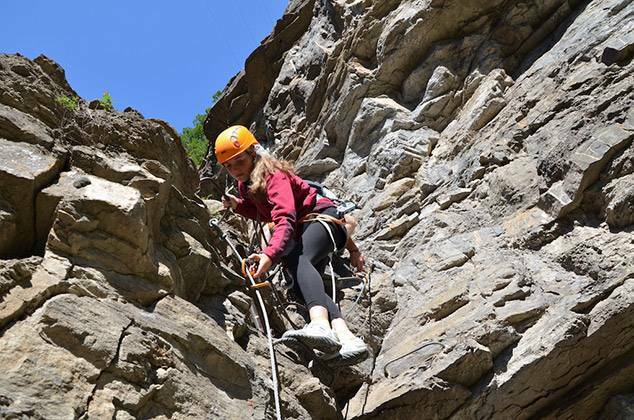 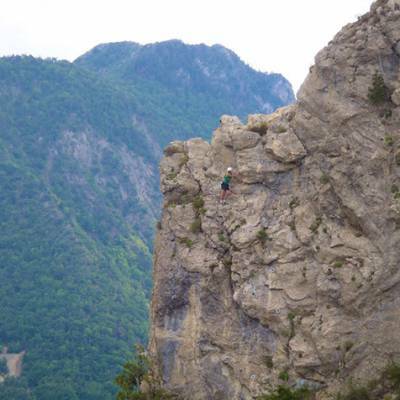 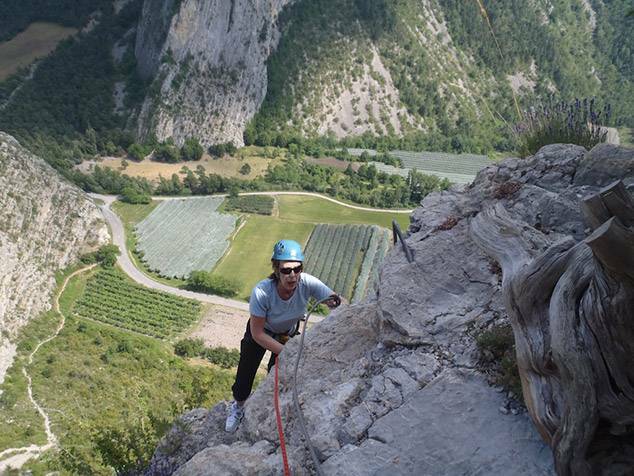 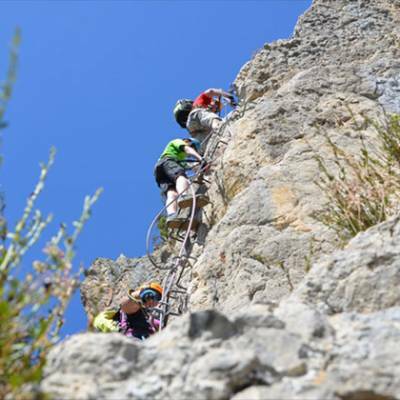 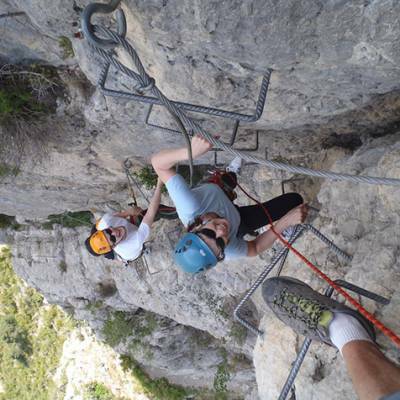 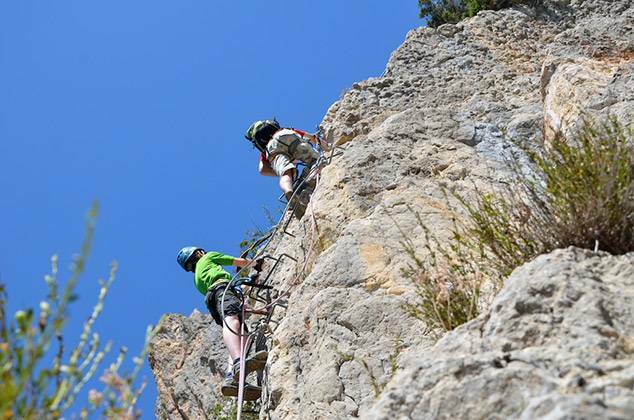 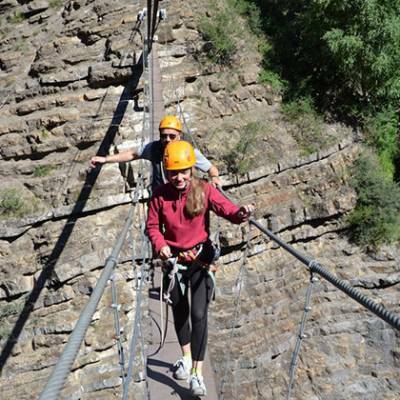 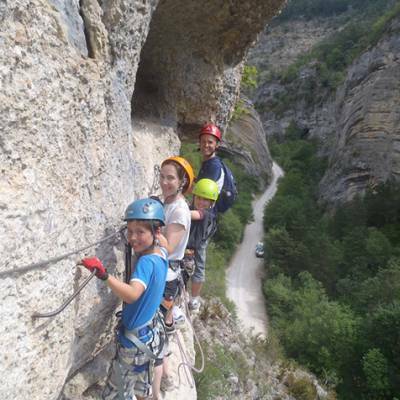 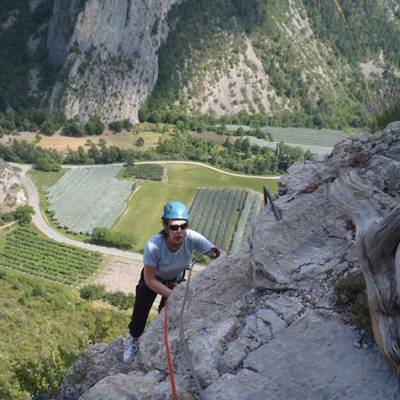 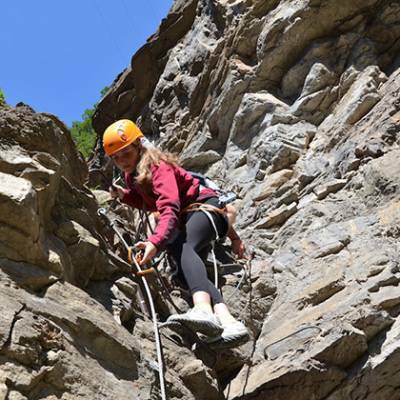 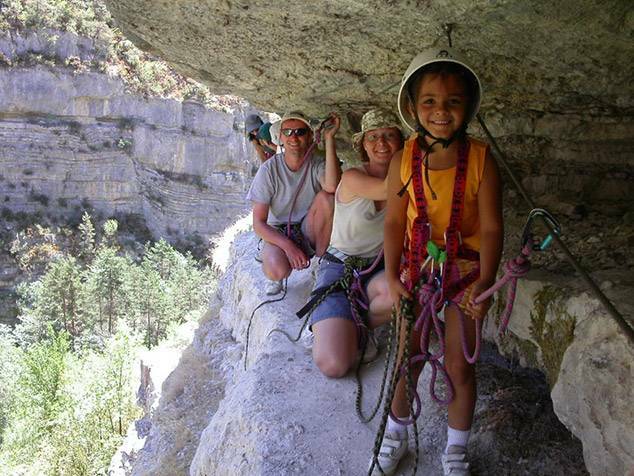 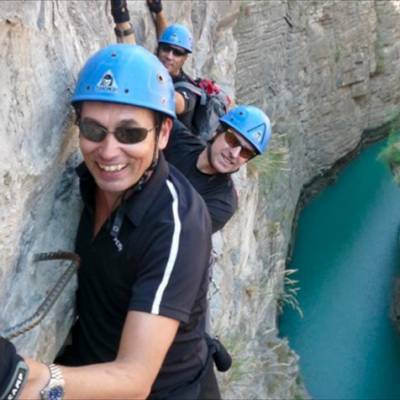 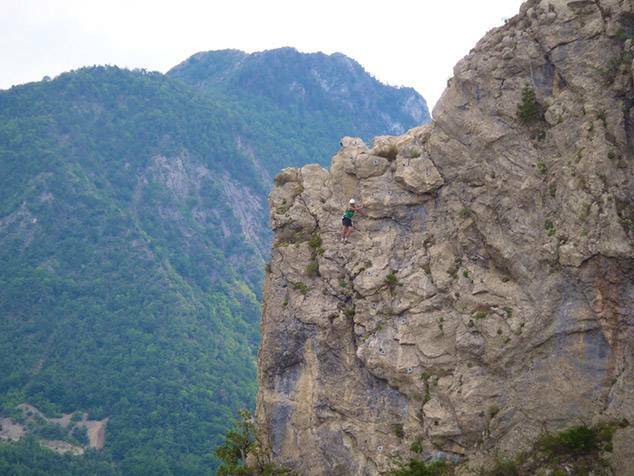 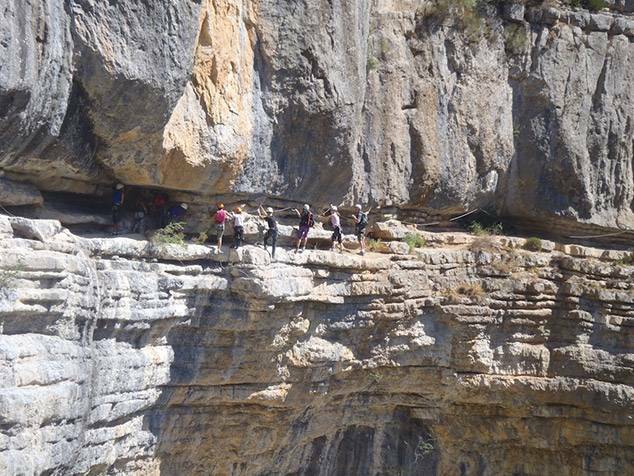 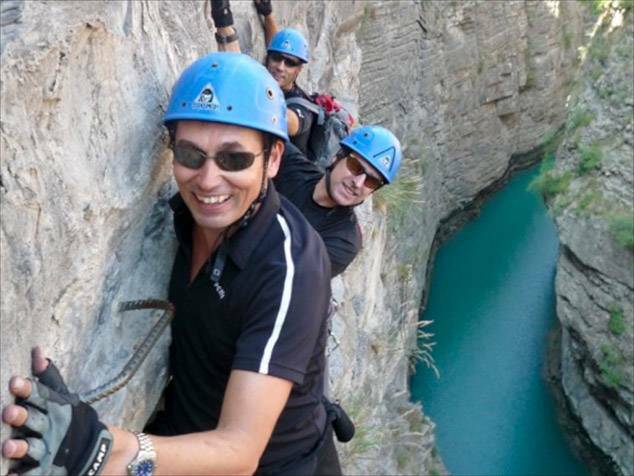 By using via ferratas, you can explore the rock faces towering above dramatic gorges, climb up overhanging cliffs and traverse along the strata layering the mountain sides. 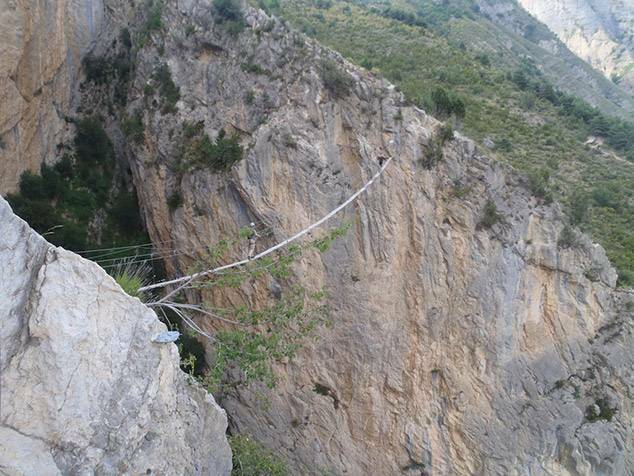 For a bit of added excitement, wire bridges are often included as a way of getting from one mountain to another or traversing over a gorge. 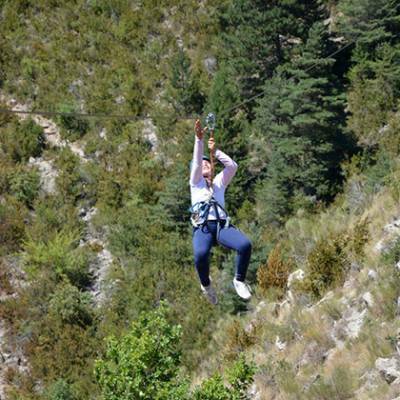 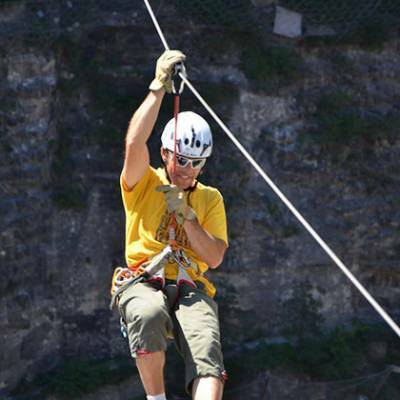 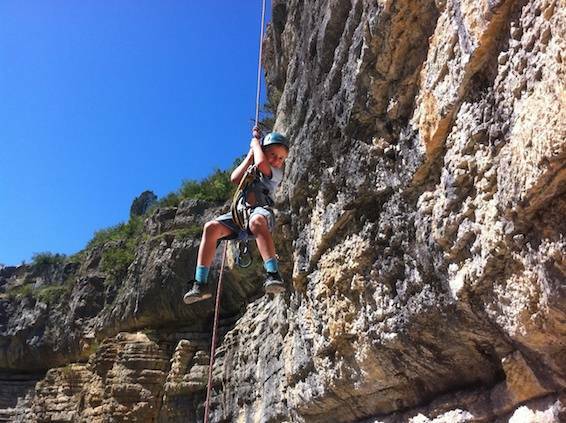 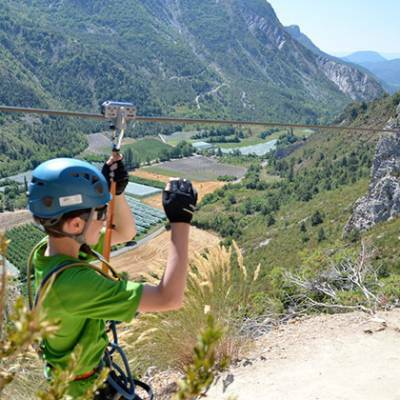 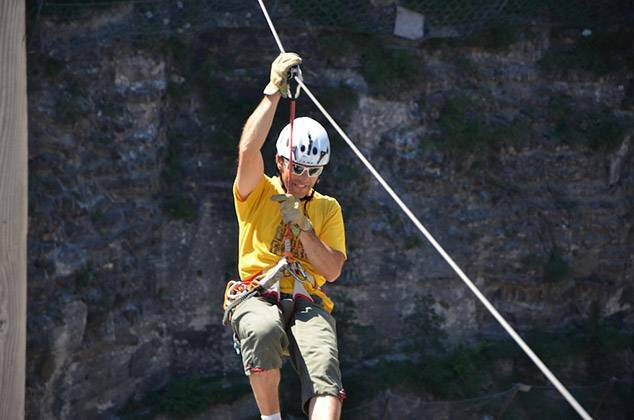 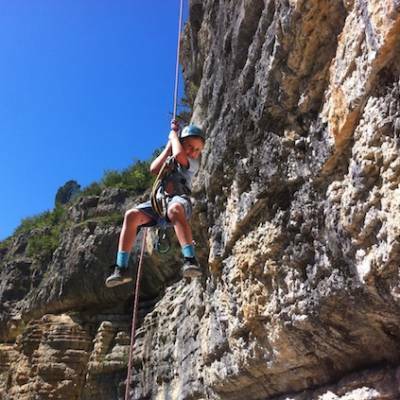 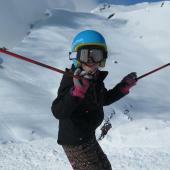 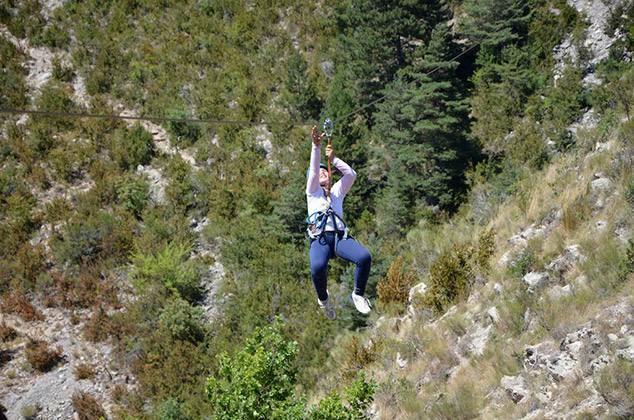 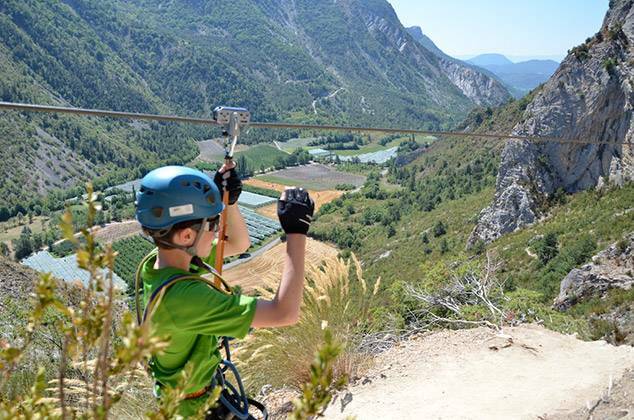 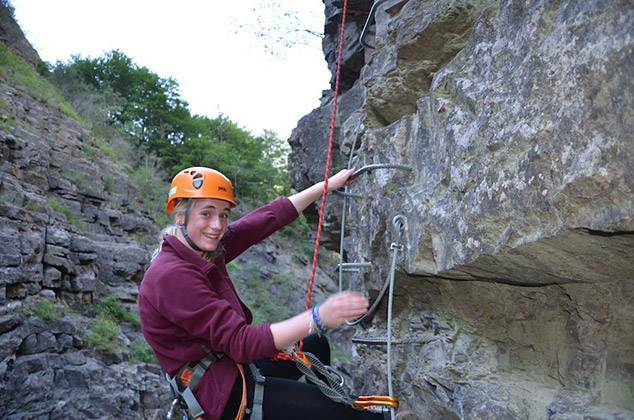 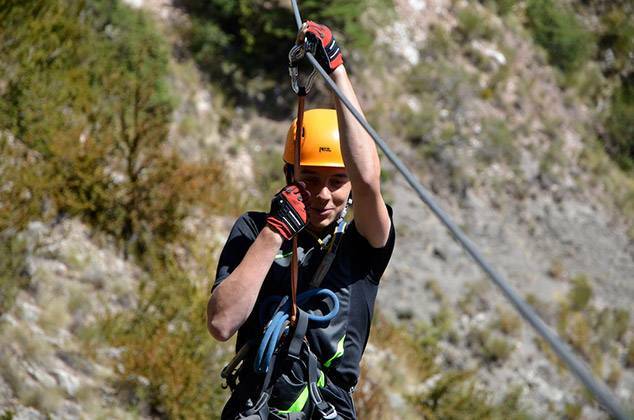 Some even incorporate tyrolean zip wires as a way to get back down from the top! 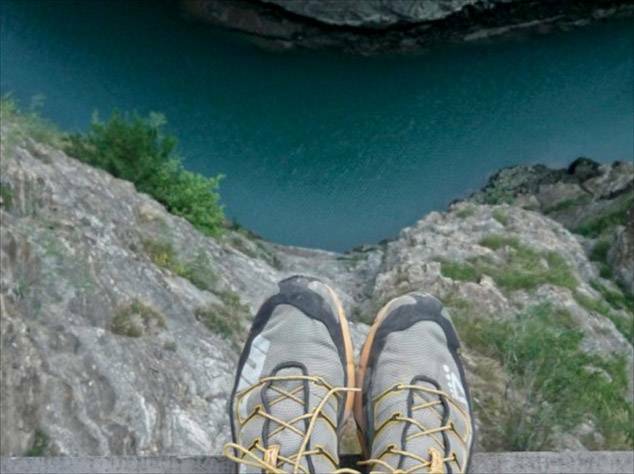 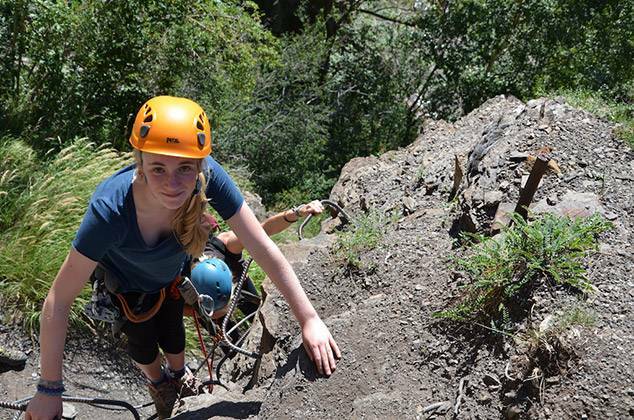 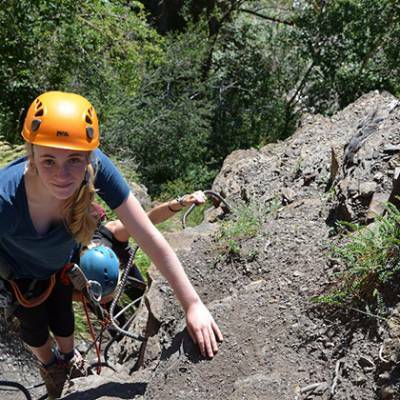 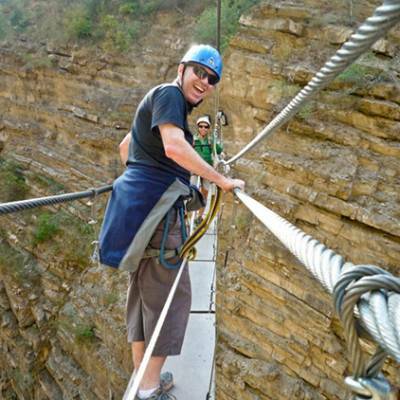 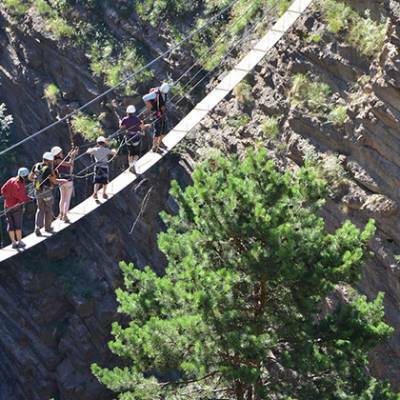 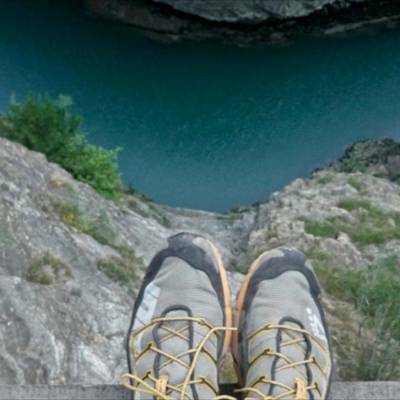 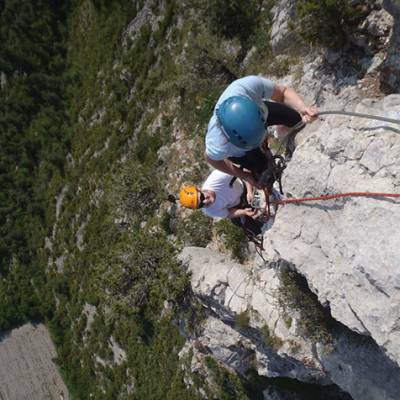 How to do a Via Ferrata? 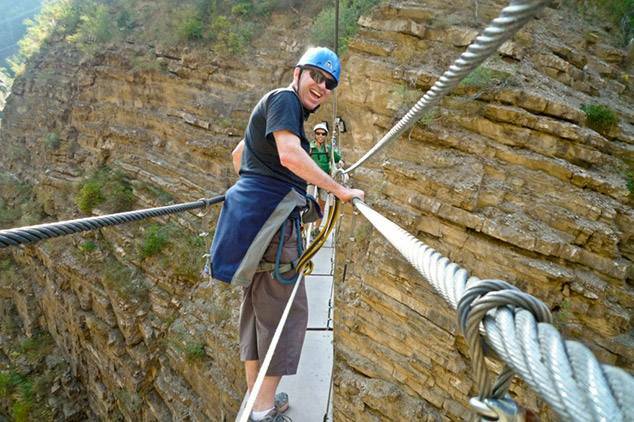 You wear a harness, with two cow's tails (ropes with caribiners attached) and a helmet, clip into the wires or ladders and then climb, following the course of ladders, wires and bridges. 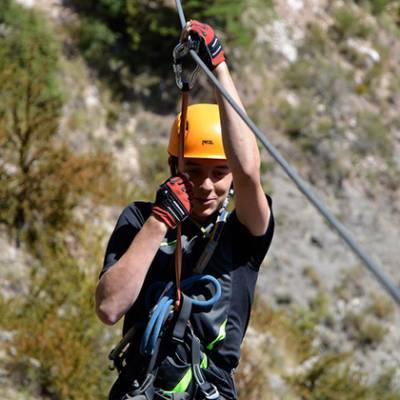 You make sure you are always attached to the wires by one of the cow's tails at all times so can never fall very far. 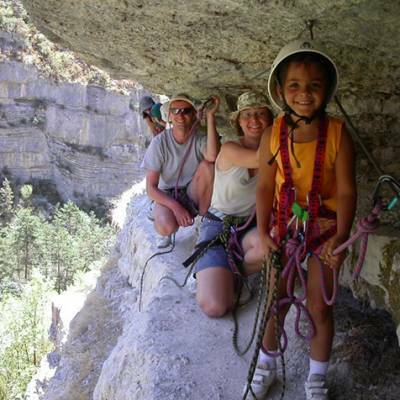 As extra security it is also recommended to attach members of the same party together with a rope, especially with children. 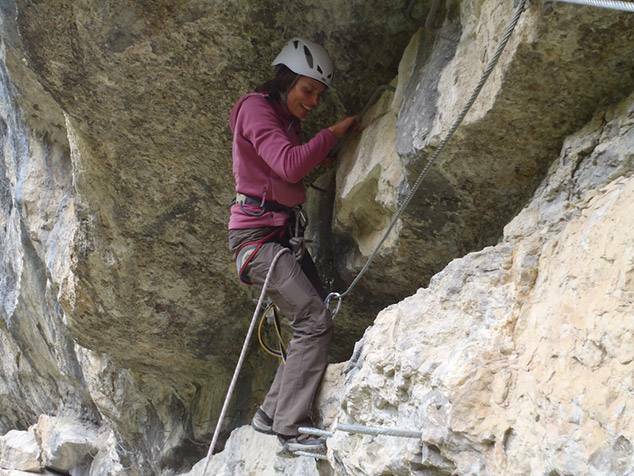 This covers any accidental taking both cow's tails off at the same time and falling at that moment scenarios! 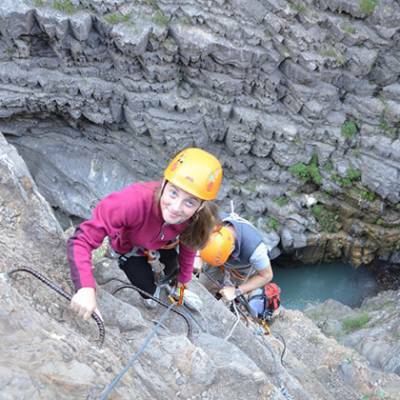 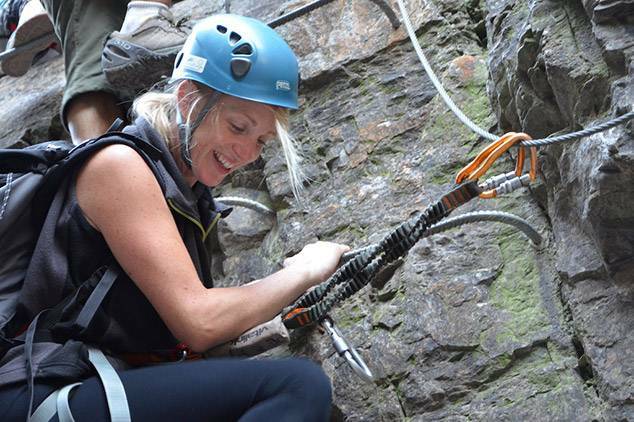 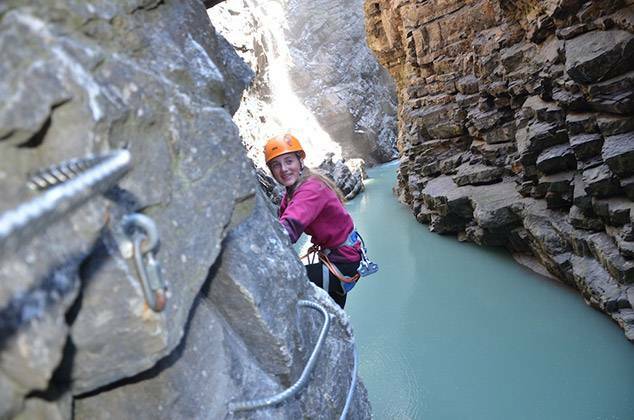 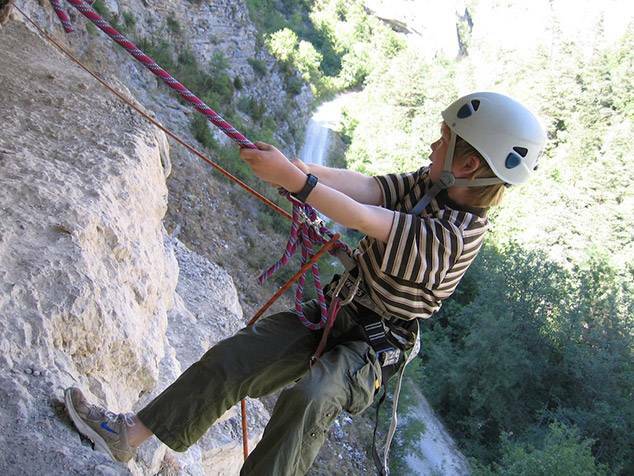 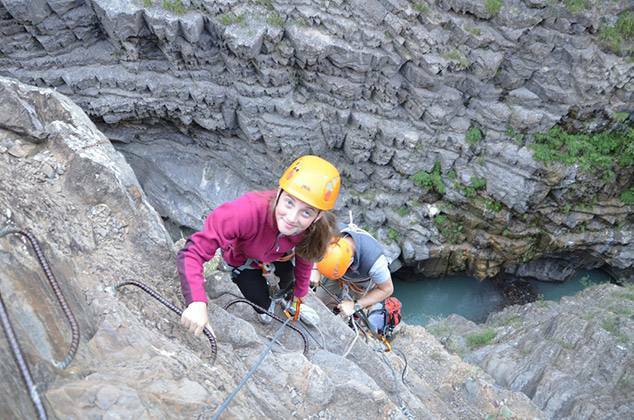 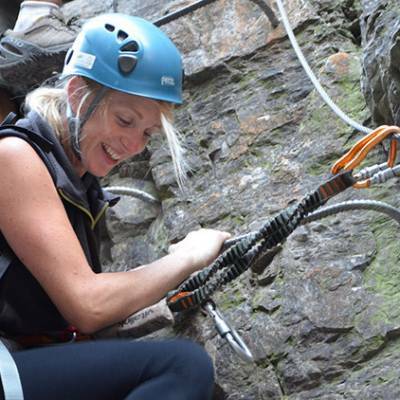 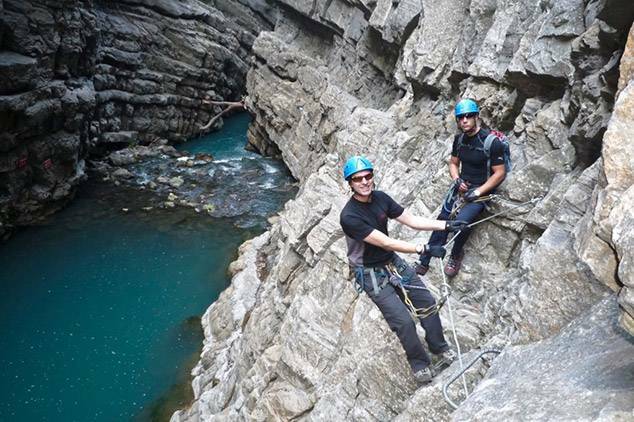 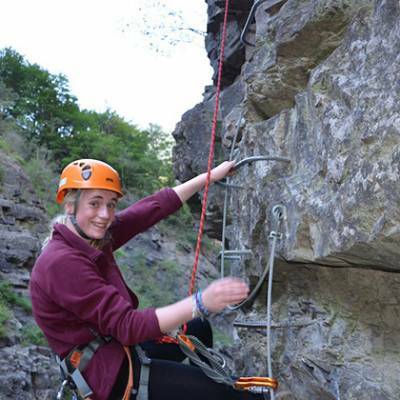 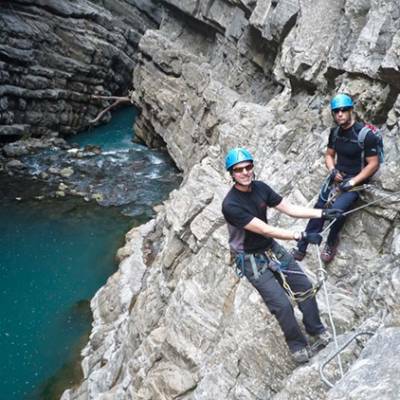 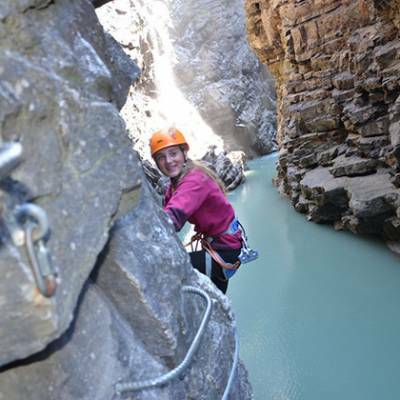 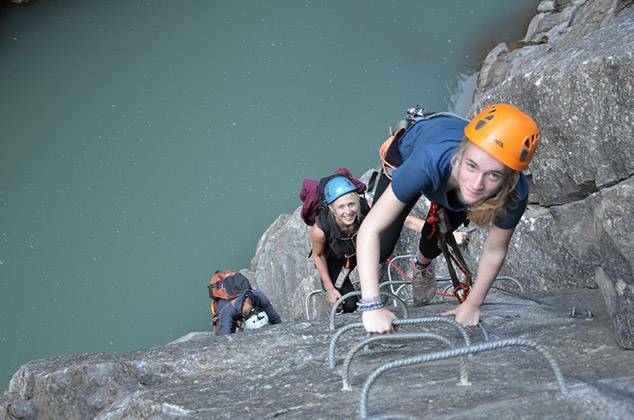 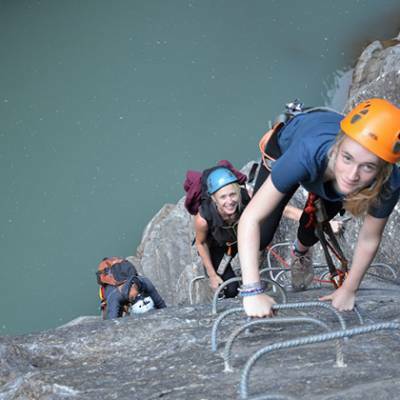 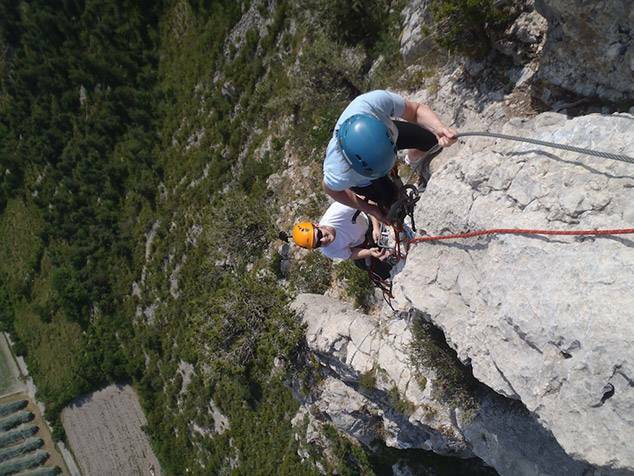 Our via ferrata guides are fully qualified UIAGM high mountian guides or climbing instructors and will always use a rope when guiding via ferratas. 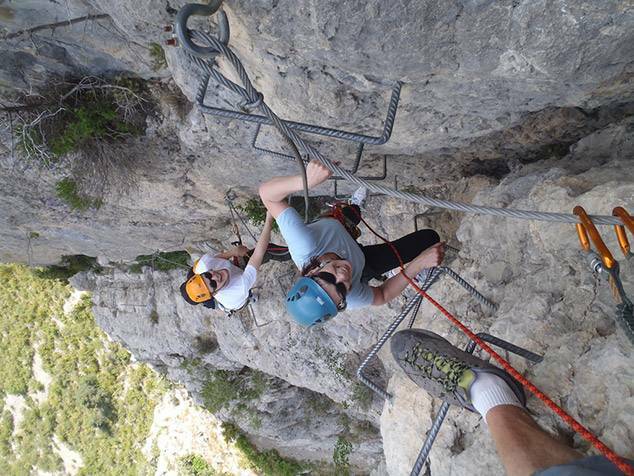 Via ferratas are generally designed for adults and as such smaller children can find it difficult to reach the wires and ladders. 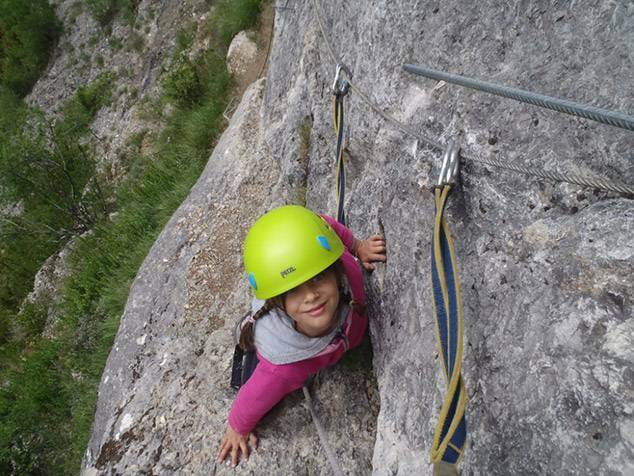 However, there are specialised kiddie via ferratas suitable for children from 7 years of age. 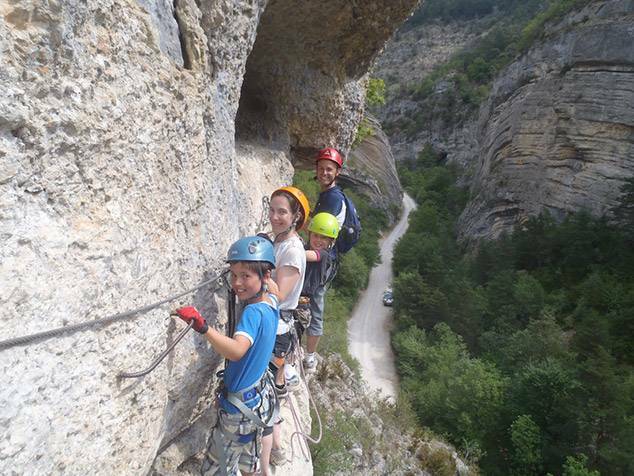 Beware though, just because they are fine for 7 year olds - you still need a head for heights! 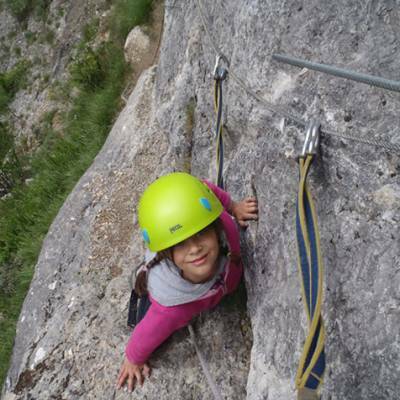 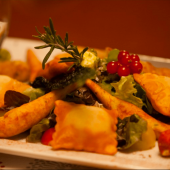 Read our blog on via ferratas for children. 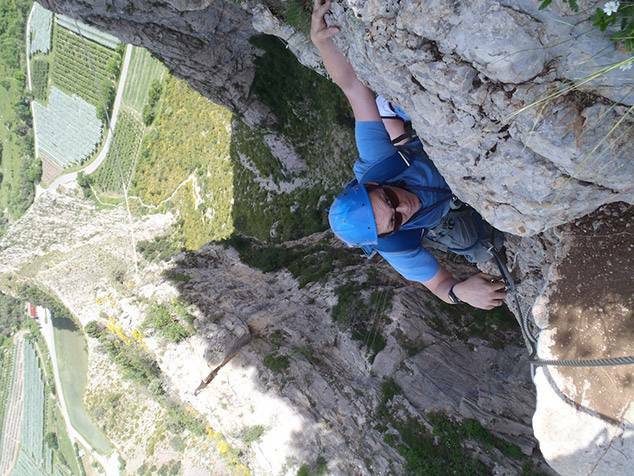 All via ferratas are graded by technical difficulty, from easy to very difficult and the length of time taken to complete the course. 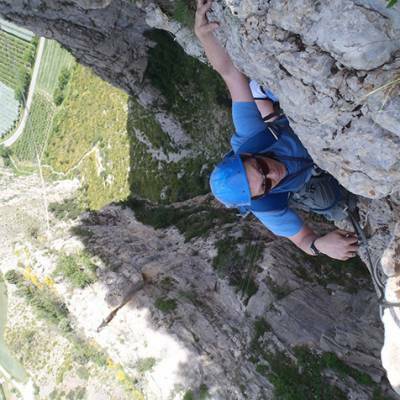 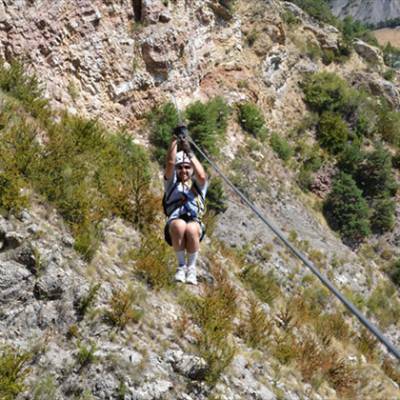 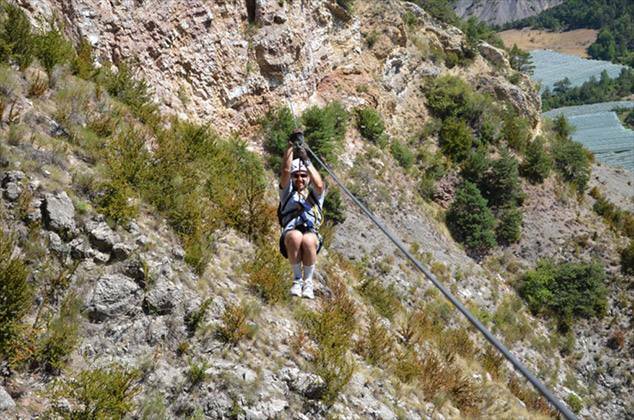 Most of the via ferratas we use have a variety of routes within them so we can choose the most suitable grade for your group when you are here.